The youthful cheek is shaped like a heart, projecting furthest at the cheekbone and tapering as it descends towards the lips (red arrows point to a full, youthful outer cheek). A linear highlight along the cheekbone is an important feature of the youthful cheek. A shadow cast underneath the cheekbone can enhance the jawline as well as the midface (orange arrows point to a highlight along the cheek bone and a shadow cast underneath it). As we age we lose fat in our cheeks and throughout the face. This leads to a deflated appearance, most evident in the midface. The cheek contour begins to resemble a “double bubble” with a projecting cheek bone transitioning into a depression and then another projection lower in the face. Nonsurgical facial fat transfer is the ideal solution to restore lost volume to the cheeks and midface. Facial fat transfer can be used to recreate the youthful heart shaped cheek, a linear highlight along the cheekbone and shadow cast underneath (figure 2). Looking for more information on facial fat transfer? 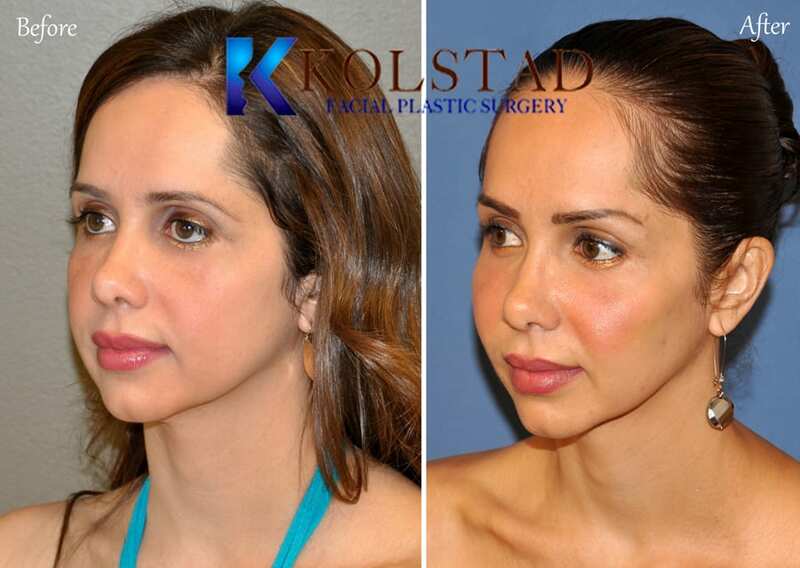 Don’t forget to view Dr. Kolstad’s gallery of Before & After images. 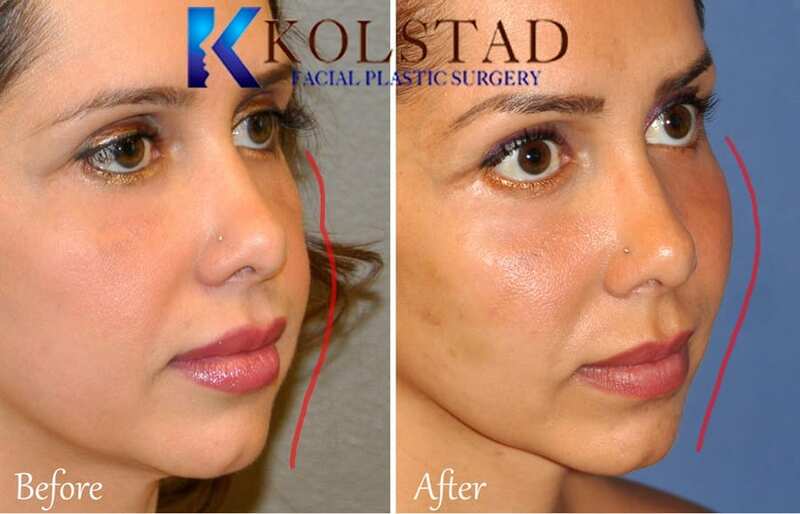 If you would like to know more about facial fat transfer, fillers facelift surgery simply schedule a consult with Dr. Kolstad at his facial plastic surgery office in La Jolla. Give us a call at 858.859.2563 to schedule your appointment today. We are conveniently located in La Jolla between the I5 and I805 freeways. We are dedicated to plastic surgery of the face and neck and enjoy serving men and women in La Jolla, Del Mar, San Diego, Rancho Santa Fe, Solana Beach, Encinitas and Southern California.